Closeouts. 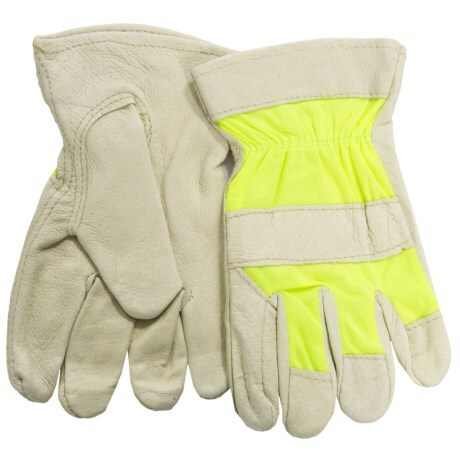 Dickies’ Hi-Vis Pigskin Drivers gloves combine neon nylon fabric with durable pigskin leather to provide protection in heavy-duty, low-light conditions. Prized for its breathability, pigskin leather becomes softer with use and withstands moisture without stiffening.